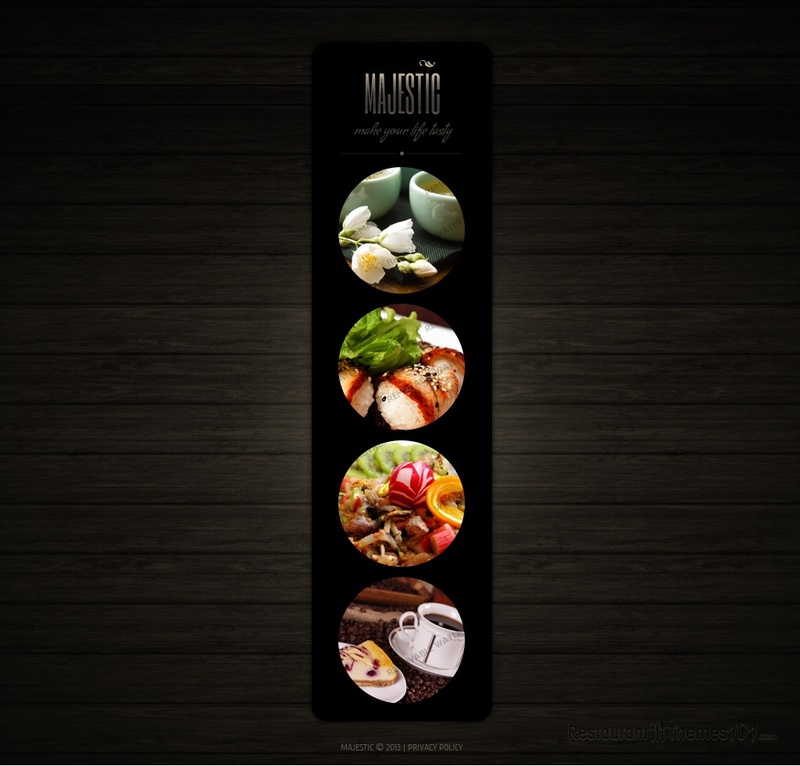 If you are looking for a completely unusual, modern, great looking responsive HTML5 restaurant template, then you have to check out Majestic! It was created by Delta and it is featured at Template Monster. 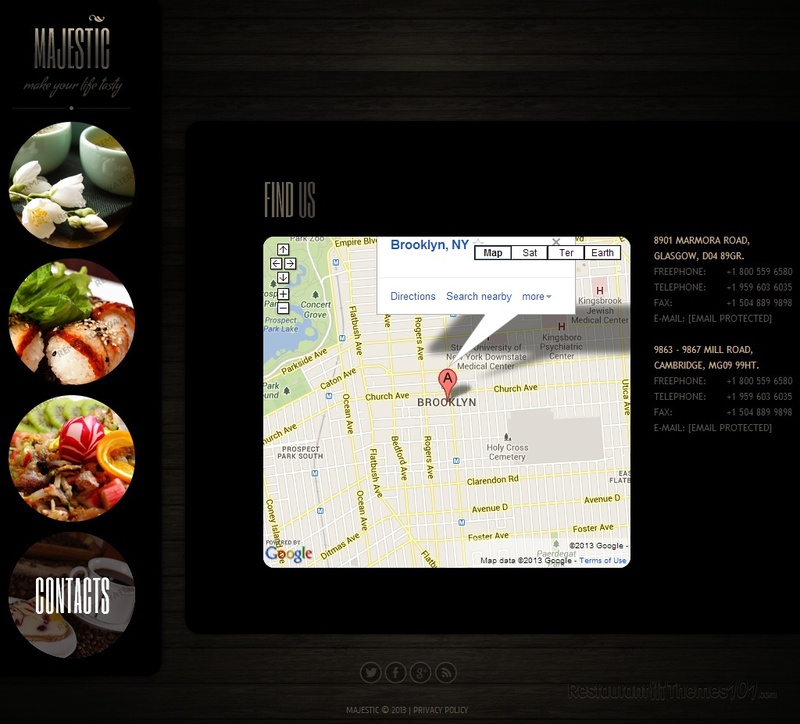 The sections of the template are placed in this box that shows resized photos of delicious food, and when you hover the photos with a pointer, the sections appear one by one in a flashy way. 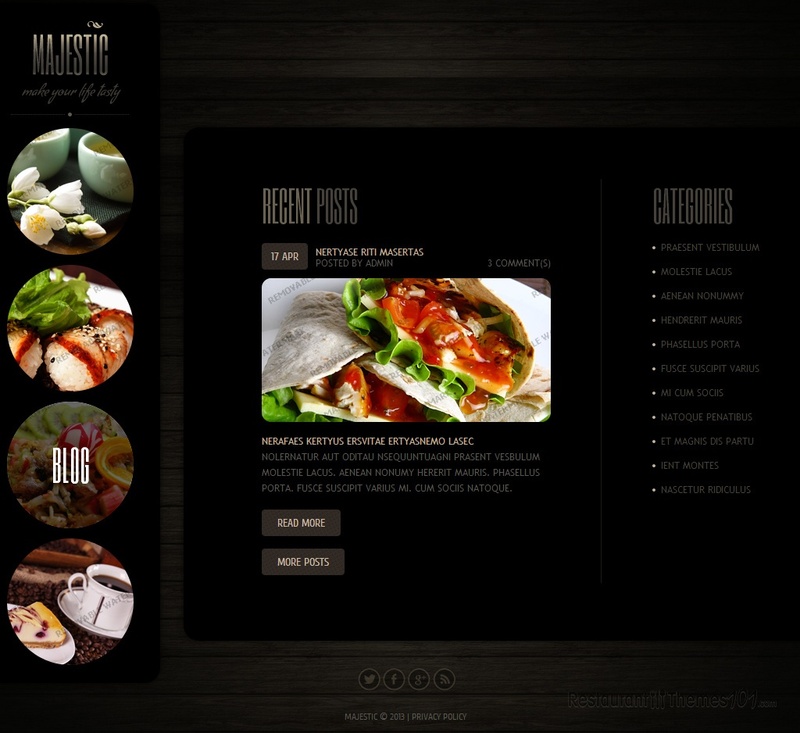 Your menu is going to look lovely, with the possibility of adding photos for each menu item. You can easily add your own photos to any section of this layout because customization is dead easy. You will be able to present your restaurant to your guests properly, and as detailed as you would like to because there is a history section reserved for that. Presenting your staff will be very easy as well, and this will bring your visitors closer to your restaurant, making them feel cozy and welcomed. The blog section is there for you to post as much as you want to and introduce your guests to all of the fine services you offer at your restaurant. You won’t have to leave anything behind with this template; there is plenty of room for everything. Google Maps integration is featured on the contacts page and you will have a map with your location pinned to it. Social integration was nicely done, with cute social network buttons added. 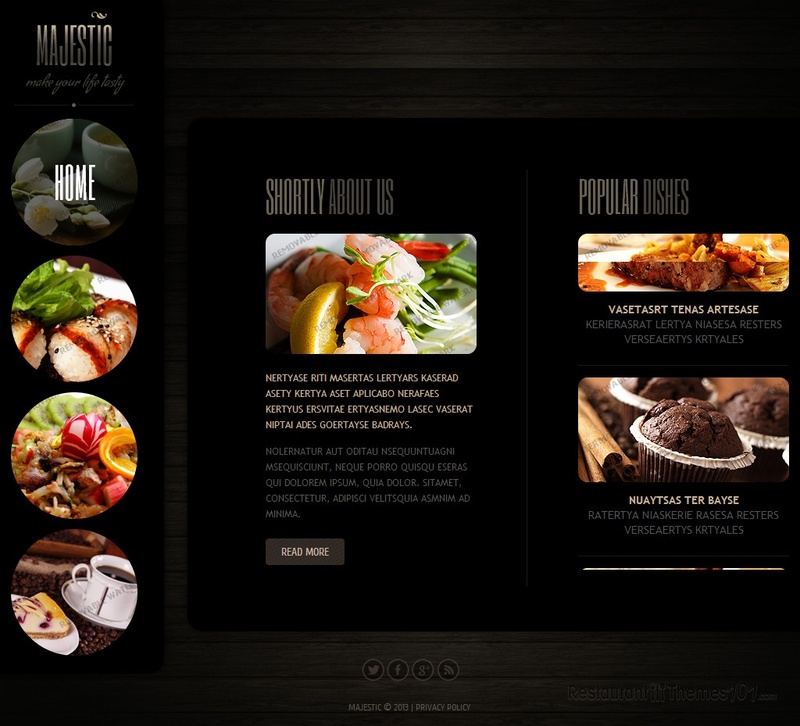 Being a HTML5 responsive restaurant template, Majestic makes sure your website is going to look pixel perfect regardless of the device it is seen from.